How has the SEO Industry changed over the course of the last 20 years? The main developments in SEO have been Google algorithm changes, which allow the search engine to discover and then penalise the unethical websites that are trying to gain an unfair advantage. The most significant change in recent years was Google being given the ability to identify websites using irrelevant links, most of which were paid for, (which makes them unethical). Between October 2012 and March 2013 over 700,000 websites lost their rankings as a result of this algorithm change. Why has SEO had such a bad reputation? Years ago, the bad reputation was largely down to a lack of knowledge from customers and a lack of transparency from agencies. Agencies failed to set expectations and the paying customer couldn’t see what they were paying for. As many websites were being run by agencies, any unexpected penalisations fuelled the bad reputation and damaged relationships between clients and agencies. I believe the reputation has improved since 2013, as more agencies have adopted an educational approach. Combine this with monthly payments and lower contract agreements and the unknown aspect of SEO becomes a lot more transparent and a lot less daunting to the customer. "Search engines want their users to find the best possible results as quickly as possible"
How do Google’s algorithms work? Google is all about user experience; the search engine wants its users to find the best possible results as quickly as possible. There are hundreds of potential parameters that Google considers, but they can be broken down and categorised into 2 or 3 main principles. Are there any principles which you follow? We follow the principles of relevance & popularity, with the 3rd principle being user experience as an extension of popularity. When a keyword is searched for, Google will present the websites that are the most relevant to that keyword, and those that are the most popular with others who search similar keywords. The most common measures of popularity include increasing the average time on page, reducing bounce rate and achieving more completed actions. Think how you can add value to the reader to optimize these variables which Google uses. Of course, this also ties in with the user experience, we’ve all been frustrated when a page take 3+ seconds to load and hit the back button if we don’t like the look of the page. We make snap judgements about whether the page has the answers we are looking for, so make it obvious what the page is about and enhance your UX! Ensure that your potential customers can find you organically through Search Engine Optimization (SEO). What are the most common SEO mistakes you see businesses make? This is a tough question! I think that in recent years’ people are spending huge amounts on website design, then automatically expecting a higher performance organically. Unfortunately, it doesn’t quite work like that - Typically, we tend to see good efforts in 1 or 2 of the principles and then zero effort in the others. "If you cut corners on the foundations, the whole thing will fall down..."
I have always believed that a creating and implementing a sound SEO strategy is like building a house, if you cut corners on the foundations, the whole thing will fall down. What advice would you give to Marketing Managers with limited resources? Get the onsite SEO right first. Without the correct relevance in place, the website will not improve. If budget is restricted, use an agency for a shorter period; say 3 months. Get a clear understanding of what work will be completed in that time and what will need managing or implementing after. How do you see the difference between Paid and Organic Search? I see AdWords as a short-term solution, but it still doesn’t guarantee to be a success. Unless it is set up near perfect at the start and managed regularly, AdWords can be incredibly expensive with very little in return and the cost per sale is generally very high. If you don’t have a high average order value (AOV) with good margins you can quickly see campaigns running barely breaking even, or even making a loss! However, if set up and managed correctly with good AOVs, it can be very profitable very quickly. Nevertheless, I err on the side of caution, advising companies to start small and not to expect an immediate return. The click through rate does drop consistently the further down the rankings you are, but even the 10th position at the bottom of the organic results averages 2.97% CTR. SEO is a longer term investment but the rewards are much greater. Every penny or minute spent developing your SEO is investing in your own websites growth and provides you with greater future opportunities, which are not spent entirely on a 3rd party. The CTRs are better and the enquiry and conversion rates are higher. We have outlined all of this in some of our previous SEO blog posts. What successes stories have you seen in your first year as Head of Web services at AZoNetwork? I took control of our marketing site AZoNetwork 6 months ago. In that time, we have seen a dramatic increase in rankings, with a 59.62% increase in Organic traffic, a 32.47% increase in our enquiry rate, and 49.35% more enquiries than the previous 6 months. This is due to better quality traffic and understanding the user behaviour. From a client perspective, we have had some great success stories with our initial campaigns. Tecman has seen their rankings dramatically improve, giving them a 59.03% increase in organic traffic and a near 100% increase in enquiries. The biggest compliment from Tecman is that not only the number of enquiries has improved, the quality has significantly improved as well. Thermcraft is now page 1 for a huge amount of their keywords. The company has seen a 72.46% increase in organic traffic and a 24.23% increase in enquiries in the last 6 months. Their comments were that they have had a significant uptake in business. Delta Optical has started to dominate most of their keywords, giving them a 62.08% increase in Organic traffic. Unfortunately, Delta was not tracking inbound enquiries so we can’t be exactly sure of the percentage increase, but we can say that they are 100% happy with the improvements in rankings and the number of enquiries. One thing that is clear is that our Web Services clients have received a significant return on their investment over the last 6 months alone. We, as a team, are looking forward to helping clients over the next 6 months! Dave has 18 years’ experience in digital marketing & started his career in the midst of the .com boom. 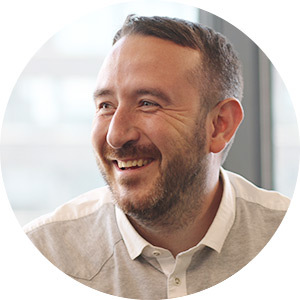 Dave worked with Blue Chip search engines Lycos, Ask Jeeves & for a brief period MSN before successfully founding his own Digital Marketing Agency. Dave’s main skill sets are Search Engine Optimization and Conversion Rate Optimization. He brings all the necessary experience and skills to help lead our web services team. He is a passionate about educating businesses in what ‘SEO’ is and how they can increase their own enquiry and conversion rates. On the days he’s not optimizing he loves watching Burnley FC and testing his skills at the poker table.